Being sentient means to have the capacity to have positive and negative experiences, such as feeling pain and pleasure. This applies at the very least to all animals with centralised nervous systems. Sentient beings have their very own unique personalities. We should refer to them as “he/she”, “them/they” or by species. The words “it” or “thing” should not be used to refer to an animal, and “who” is used rather than “that”. If you do not know the gender, then choose one: “he” or “she”. Even if your gender choice is wrong, it is more respectful than “it”. This is an important way of demonstrating the respect we ask others to afford all animals. Editor’s note: This blog post has been updated on 12/04/2018. 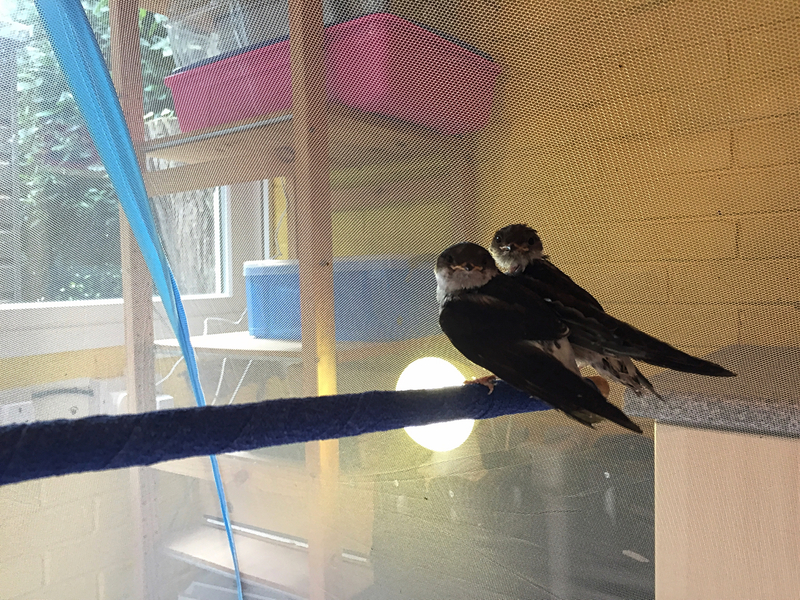 Narziss and Goldmund are two premature house martin fledglings, who have been found on the ground being unable to fly. Their nest allegedly came down for unknown reasons. According to the finder, Narziss has been spotted in the morning being on the ground and unable to fly, but has been left there for reasons unknown. Only as Goldmund has been spotted in the afternoon, also being found on the ground, both birds have been collected by the finder and brought to us. The admission assessment did not reveal any external injuries. However, both house martins demonstrated very obvious signs of dehydration, starvation and exhaustion. 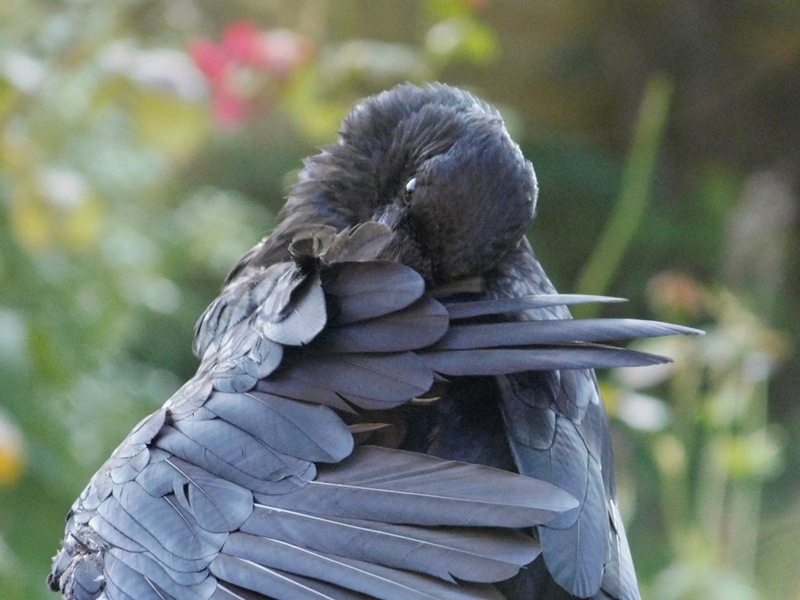 Imprinting of rescue bird is an often hotly debated topic amongst bird lovers, wildlife rehabilitators and rescuers, where voiced opinions range considerably. One extreme approach to this topic suggests that imprinted birds are principally unreleasable, and that once a bird is imprinted that this situation cannot be reversed. The other extreme opinion considers all imprinted birds as releasable and implies that these birds have similar survival chances in the wild compared to birds who have not been imprinted. However, own experiences and those of fellow rehabbers have shown that, and this should actually not be unexpected, the truth lies neither in the middle nor is it to find in one or the other extreme. To find an answer, it seems worth to explore some basic underlying processes, like imprinting, learning, conditioning and habituation. This short videoclip shows one of those beautiful occasions, where we were privileged to be part of the daily lives of our wild non-human animal neighbours. 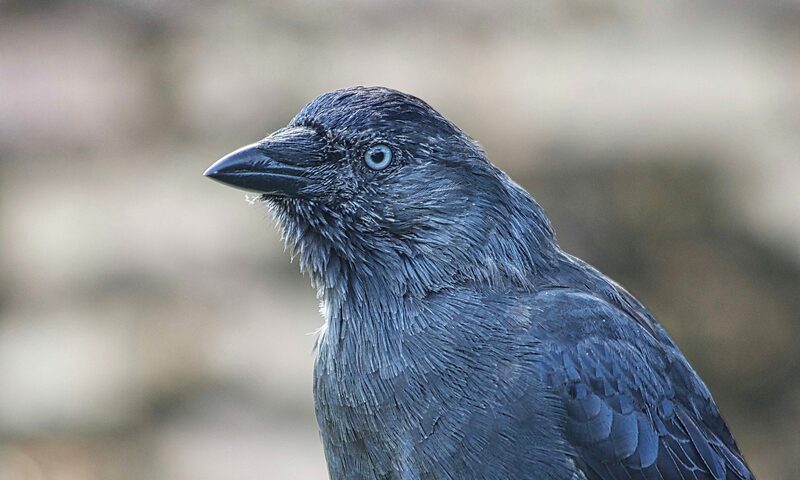 Just by chance we have been able to document and record a fascinating playful interaction or variation of social play occurring between a wild young rook and a mixed group of rooks and jackdaws as well as a small flock of residential pigeons circling the area. Just a few seconds after the rook had drawn the attention of one of the approaching jackdaws, the rook decided to disengage and to follow the leaving birds. 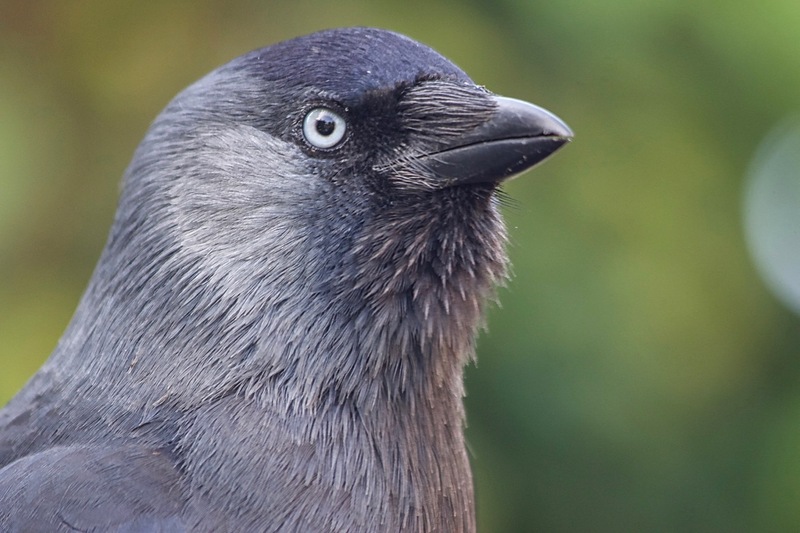 Social play observed amongst non-human animals including corvids plays an important part in the emotional lives of many non-human animal species. 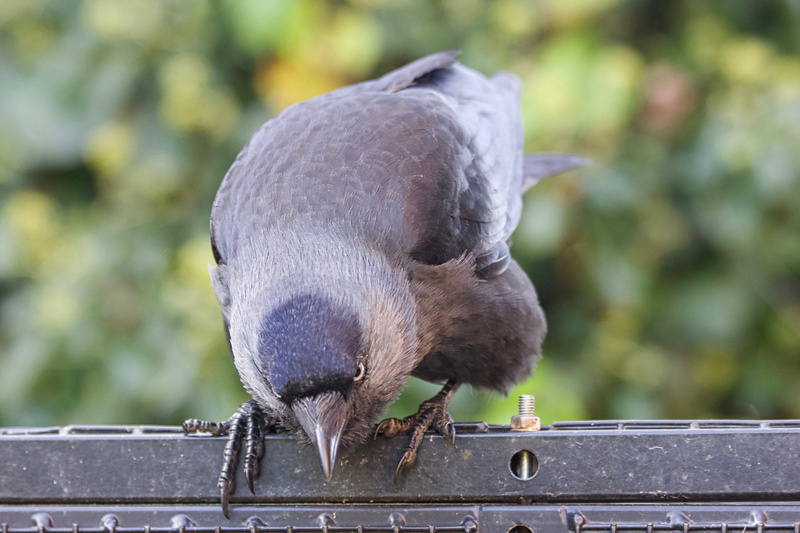 During our daily interactions with our corvid patients, residents and visiting wild birds, we are frequently able to observe many of these intricate nuances of their fascinating emotional lives, and even get sometimes involuntarily involved in their playfulness and cheekiness. 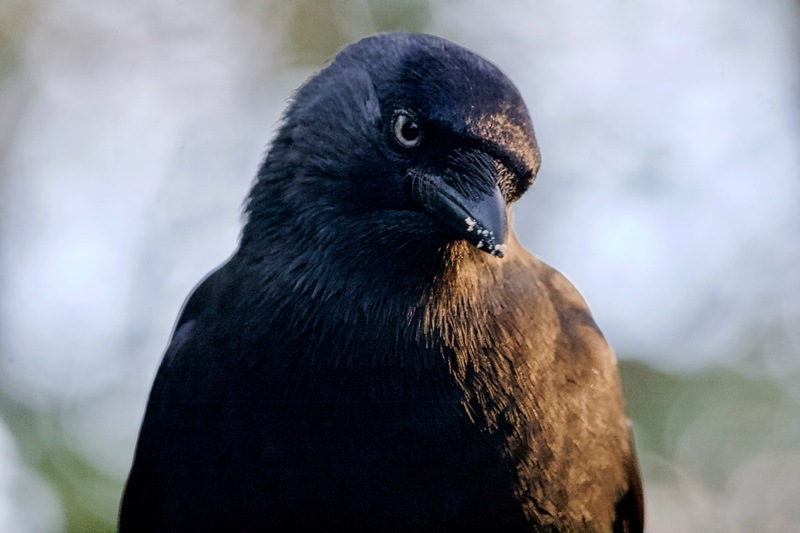 Although many encounters we are able to witness may serve a specific purpose, a purpose we may or may not fully understand, some incidents like the playing rook in the video clip, might just be what it seems – a bird having a bit of fun, nothing more and nothing less.